Now is the perfect time to take a look at some of your favourite convertibles, with almost every manufacturer offering a soft-top or convertible in their ranks. So we've worked out the most popular 10 on the site, as decided by our users. 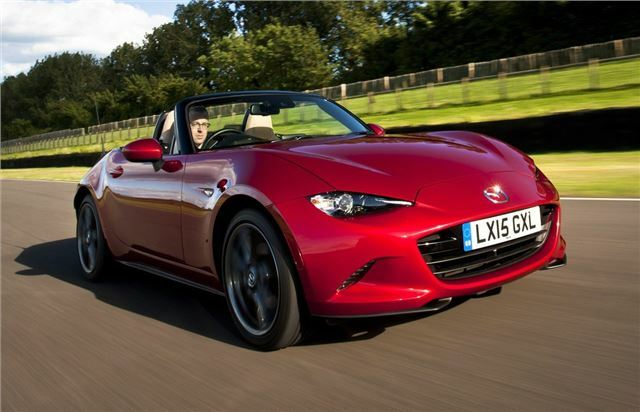 The latest Mazda MX-5 sticks to the formula that has made Mazda's little sports car so popular. It’s small, light, affordable and fantastic fun. But there are some changes. This time around it's more aggressively styled and has new engines but as ever it's still easy to live with every day. There are two engines to choose from – a 1.5-litre with 131PS and a 2.0-litre with 160PS. If you want excellent driving dynamics and top-down motoring at a fairly reasonable cost, there is simply no better alternative. No Mercs? Why not? It appears you have done everything to stop having a Mercedes convertible on your list. Poor selection of cars here. Too many BMWs. Pick one for sure as they are good cars but 3? That Japanese overpriced fake care is horrible, certainly not worthy of a top 100 let alone top 10. There's much better around. No Mercs is a really big oversight. I'm sure they're not to everyones taste but the SL is a fantastic car, a true grand tourer with a folding metal roof that provides coupe comfort for the most part. There are several to choose from. The mini is a dogs breakfast and the Vauxhall doesn't know what it wants to be. Your top 10s are usually much better thought out than this one. At least you didn't pick the Range Rover Evoque - now what's the point of that car? This top 10 is not chosen by us. It's decided by the most popular reviews on the site - in other words the reviews our users are looking at the most, as calculated by the number of page impressions.